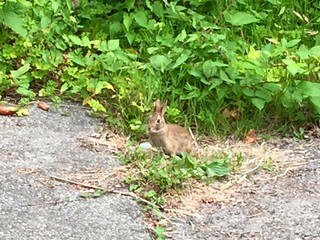 If you follow me on Facebook you’ll possibly have seen me periodically posting about how my neighborhood in Kenmore is overrun by wild bunnies in the summer, and this year is no exception. 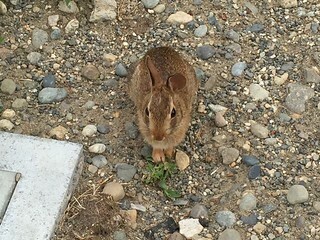 One of the things I quite enjoy about the walk up and down our hill when I’m doing my daily commute is looking for bunnies–whether they’re hanging out openly in someone’s yard, or ducking under bushes, or what have you. I take pictures of them when I can. Like, say, this one! You might notice, though, that this picture is kind of soft and fuzzy, and I mean that in a “not just because it involves a bunny” kind of way. The reason for this, I have discovered, is because the iPhone (at least up through the 6’s, as well as the non-Plus 7, according to specs on apple.com) uses digital zoom. And digital zoom gets problematic the closer in you try to zoom. But if a bunny is more than two or three feet away from you, you kinda have to zoom to shoot it. Because if you try to get closer, it will very likely sense your presence and bolt. Googling around led me to learning that there are assorted third-party lenses that have been made for the iPhone. The top two contenders I saw in my research were the Olloclip and the Moment, and of the two, camera nerds I read up on have been saying that the Moment is the superior lens. The problem for me though is that the way the Moment works, they expect you to glue a mounting plate onto the back of your device, and screw the lens into that. I was rather dubious about this–and moreover, decided that I didn’t want to go hunting for one of these, even though I’d read in an article I found posted on the Seattle Times from 2016 that indicated that these lenses would be on sale at the Apple Store in Bellevue. So instead I opted for the Olloclip. And specifically, I bought this thing, which gives me a telephoto lens and a wide angle one. The telephoto one is the one I’m interested in, since it gives me some optical zoom capability… 2x optical zoom as well as a shallower depth of field. It’s super-easy to pop onto the phone, and I can flip it around to use the wide angle lens. Both lenses can line up with the front and back cameras. The one drawback here is that I do have to take the phone’s case off, but I’m okay with that. And so far, the one thing I’m not entirely happy with is that test shots I’ve done with notable amounts of sky in them have caused there to be a bit of a dark halo effect in the corners. So to account for this, I will need to practice aiming and then cropping to get rid of that. Also, if I change phones and want to continue to have an external lens, I’ll need a different one because this one is specifically designed for the iPhone 6. So far though I’m okay with that, too! My current phone is still perfectly lovely and I won’t be updating it in the near future. Happy with the purchase so far. Playing with this is already fun! Looking forward to learning more! My kinfolk come to call, Part 1: Underground Tour and the Zoo! Not too terribly long ago I posted about why it’s not safe for Dara and me to visit Kentucky right now. I am pleased to report as a followup to this, though, that Kentucky came to visit me–by which I mean, my brother Marc and his wife just came out to Seattle to spend a lovely little weekend at the Murkworks. I was very, very happy to see them, given that it’s been about five years since the last time I was there (i.e., when my grandmother Hyson passed away). I took Friday off from work specifically so that I’d be available to show Marc and Didi around, and Friday we dedicated mostly to doing the Underground Tour. This was my second time doing it, and I was amused to see that the tour guides hadn’t lost a step with their patter for the crowd–although now, they’ve updated the routine to include Pokémon jokes and asking people not to play Pokémon Go in the tunnels (and we shall pretend we didn’t hear the guide stage-whispering about how they’re full of nothing but Zubats anyway, lol). After the tour, we poked briefly around Westlake (where a visit to LUSH was definitely in order), and even more briefly into Pike Place, where I showed them the Marketspice tea place. Then around five we hopped into the car to head to I Love Sushi on Lake Union to meet Dara and Paul for dinner at 6. (That it took nearly that entire hour to get from Pacific Place to the restaurant, just under two miles, should indicate to y’all exactly how screwy traffic in downtown Seattle during rush hour on a Friday can get. Even if you’re not trying to get through the Mercer Mess.) And the sushi at I-Heart was, as always, superbly tasty. 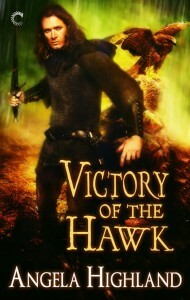 Saturday, though, is mostly what I wanted to cover in this post! Because Saturday afternoon we designated for going to our most excellent Woodland Park Zoo. The weather was beautiful for it–mid 70’s, only partly cloudy, an overall perfect day for wandering around the grounds. Which, of course, meant that the entire population of Seattle had the same idea. Because when we got there, it took us a good half hour just trying to figure out where the hell to park. I’m pretty sure I vultured my way through all of the zoo’s parking lots, to no avail. We finally wound up parking a few blocks north of the zoo grounds, on one of the nearby residential streets, and walking in from there. Thankfully, this went off without a hitch. Inside the zoo itself we soon discovered that a lot of the biggest and most entertaining critters were in fact hiding. We expect that this was due to it being the hottest and brightest part of the day. But we did at least get to see several types of critters! Like, for example, these tortoises. They were the first critters we saw as we came into the grounds, in a little cage near the stage where they have the Zoo Tunes concerts. Wolves can be seen here! And there were otters (two different kinds! ), and giraffes, and very drowsy lions (though my pics of them came out looking like impressionist paintings, due to how you can’t properly zoom on an iPhone for distance shots), and a tapir, and pythons, and lots of monkeys! The whole set of pics is on annathepiper.org, and on Facebook here. Great fun all around! And we eventually wandered home again, in time to get back to go see Ghostbusters that night. About which there will be an entire next post! EDITING TO ADD 1/3/2019: The zoo pics were moved from my Flickr account to my annathepiper.org site. The thumbnails and links in this post have been updated accordingly. Google Analytics informs me that my poll from 2013 as to what to name my mammoth is still getting a stupidly high number of hits. This confuses me deeply, given that I’m wondering what the heck all you folks are actually searching for, and whether a poll I did two years ago at this point is in fact interesting enough to you that you’ve clicked over to read about it. Either way, my mammoth ALSO says hi. Here are more current pics, of me and J-C and three awesome musicians I learned things from at Fiddle Tunes: Lisa Ornstein, André Marchand, and Normand Miron! Jean-Claude did had a wonderful time at Fiddle Tunes, and so did I! Behold the coming of the Hair Shenanigans! Internets! This past August I promised you that if Faerie Blood cracked 300 sales, I would dye my hair. And now, since that milestone was reached, today I have made good on my promise! 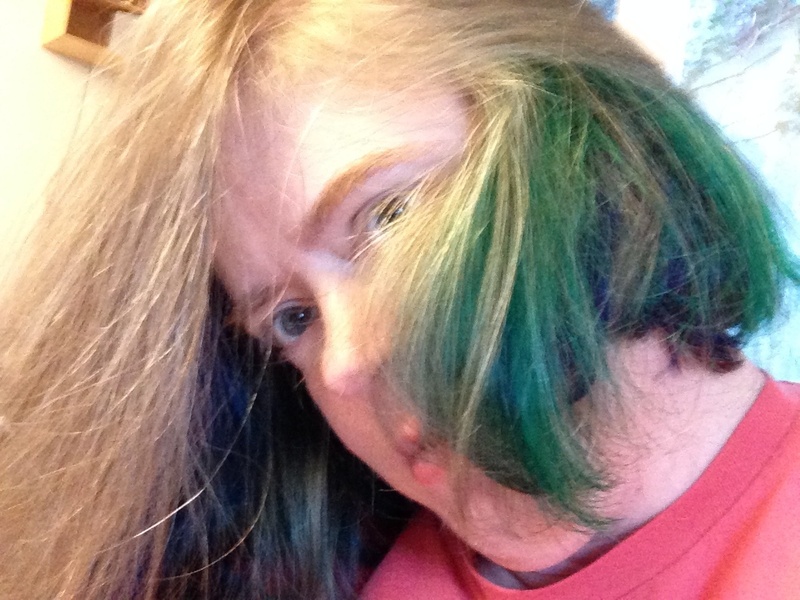 Blue and green were my colors of choice, as those are my two favorite colors, and the stylist agreed that they’d work well with my coloring. I got the work done by Jade at Scream Salon in downtown Seattle–the same woman who does Dara’s vivid fire-engine red. Jade was very amused by the contrast between Dara having a “warm” color and me rocking the “cool” tones, though, you can make a real strong argument for the shades of blue and green we selected being very warm. 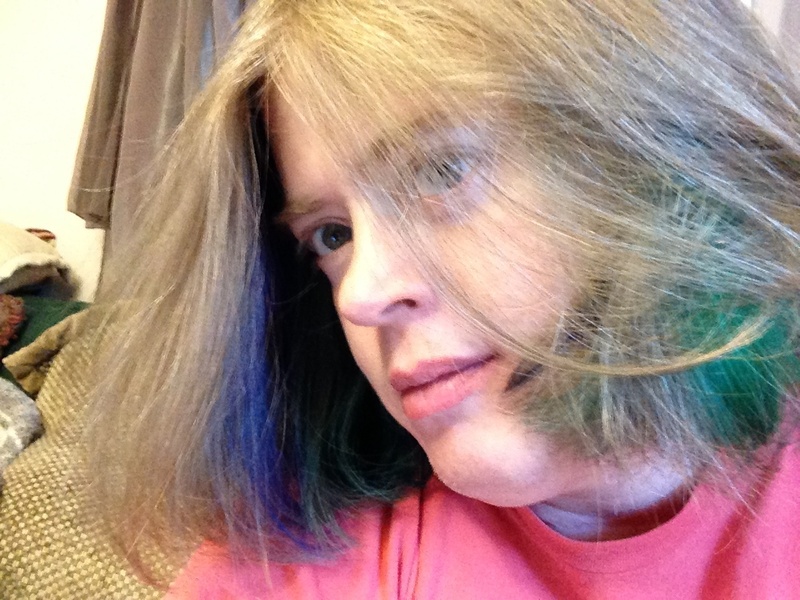 I chose to do a few different shades, with highlight-type blocks hiding underneath my actual hair color. This seemed easier on my hair, and also avoids the problem of my roots growing out and therefore losing the color. 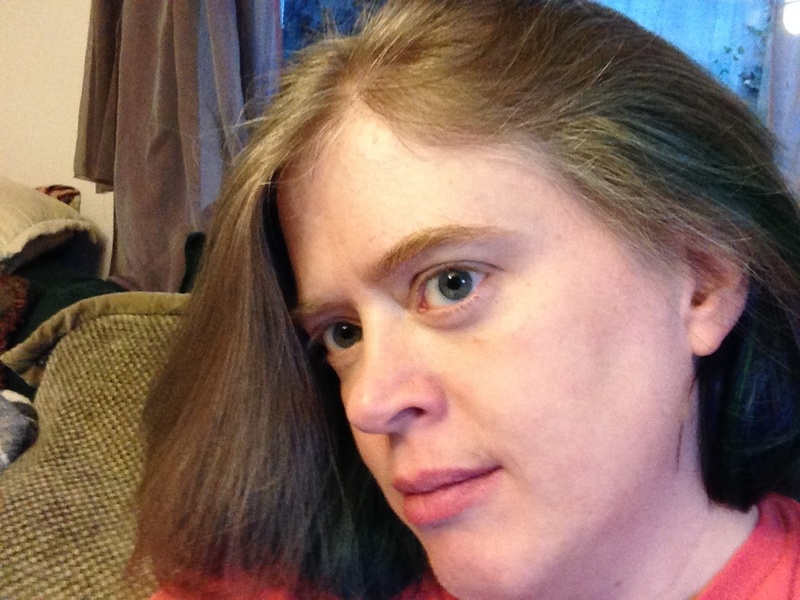 Plus, having bits of brilliant color lurking in my otherwise blonde hair seemed to fit me well personality-wise. So now, depending on which angle you look at me from, you’ll get different bits of color! Jade used bleach on the bits of my hair that she colored, and used the second lowest amount necessary just because my hair’s pretty pale to begin with–and I’m starting to go gray in front anyway. Which meant that when the bleaching was done, parts of my hair were lighter than it’s been since I was a little kid! And it also means that the bits of my hair that’ve gone gray in front turned into some neat highlights against the added color. Jade said as well that this is the brightest she’s seen the colors. My hair apparently took to this really well. This was huge fun, and it’ll be neat to see how the color changes and fades. I may decide to keep doing this, I dunno yet. Paul says that if I do I should totally rock this brilliant dark blue that’s lurking on the right side of my head. You’d think, looking at that, that I had hardly any color at all. But you’d be WRONG. The full set is right over here! EDITING TO ADD 1/3/2019: I had to move the pics off of Flickr, so now they’re on annathepiper.org. The links in this post have been changed accordingly. Dara put up a few posts of her own detailing her POV of our adventures in Harrison Hot Springs, including a loverly picspam of various things we looked at. Including a couple of shots off of her camera of me and the boys of De Temps Antan! Go click over to Dara’s post to see the other one, of me and Éric Beaudry, current holder of the title of Anna’s Favorite Bouzouki Player from Quebec! Y’all remember my and Dara’s friends maellenkleth and siestabear, right? 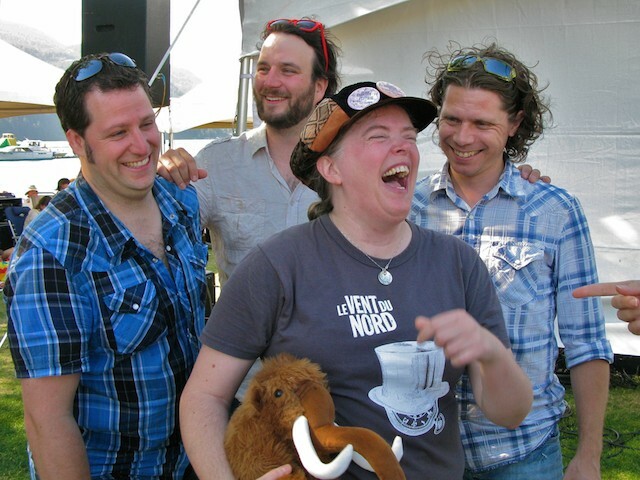 The fine ladies with whom Dara and I snagged us an encore from Le Vent du Nord last year? Well, they scored themselves some of the super-fancy deluxe backstage tickets to a Great Big Sea show on the current tour–AND! Because they love me and want me to be happy, they got me a shirt! SIGNED BY THE B’YS THEMSELVES. Alert persons may note that this is actually the exact shirt I just bought at the Seattle show this past March. But that’s QUITE OKAY. Because seriously, if you’re handed a shirt signed by the members of Great Big Sea, I am here to tell you that the LAST thing you want to do is wash it. Because it would make the signatures sad. And we can’t have that, now can we? So my belovedest of Daras informs me that there are in fact frames for T-shirts. I will be acquiring this t-shirt one. And in the meantime, please behold the T-shirt signature goodness! THANK YOU maellenkleth and siestabear! <3 I love you too!